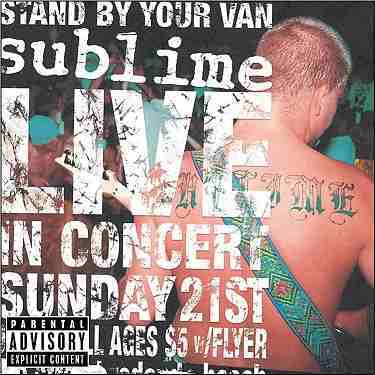 For the first time on vinyl is Sublime's Live album, Stand by Your Van. Stand by Your Van is a retrospective compilation live album. Tracks 1 to 11 were recorded live at Kommotion, San Francisco, on the 9th of September, 1994.